If you choose an answer this question at random, what is the chance you will be correct? This is concerning. Man steals bikes in several public places but no one is interested. The Arminian perspective is that God saves man. It is God's power that effects salvation. Man is able to resist God. So even though God desires all men to be saved, he does not force salvation; this also means he does not change their will so that they may desire salvation, even though God woos men, and can limit man's actions. This ability to resist has been taken to mean that man takes a role in his salvation, salvation is synergistic (God and man) in the Arminian perspective and monergestic in the Calvinist perspective. I do not find these terms particularly helpful. I would not describe the Arminian perspective as synergistic, and if I were to accept such a label I find Calvinists play loose with the label; equivocating such that the ability to resist becomes saving oneself. If the role of man and God in salvation is fundamentally distinct, then the term synergistic becomes less feasible. I will compare what God and man can do, and why, from the Arminian perspective. Arminians belief that devotion and love is fundamentally an act of the will. Men have a degree of freedom that God has given them. Therefore God is unable to override such freedom without preventing love from being love. If God overrode such freedom then man would act devotedly toward him, but such actions would not arise from love. Since God desires love he does not do this, even though God has the ability to make us automatons. I have written about this here. Man's ability to reject God results from God's inability to do the logically impossible. The inability to do the logically impossible (God or man) is not a true limitation. Arminians also believe that God saves men by an act of his grace. Yes, this may be because of our faith, but that is only because God has set the condition of faith. Thus man cannot save himself of his own accord. And if man wished to be saved and God declined to offer salvation then men would remain unsaved. Man does not have the power to save anyone including himself. This is not because salvation is logically impossible, it is clearly intrinsically possible as God can save people. But man lacks the capacity to save. The inability for man to save himself is a true limitation. Limitations of power (or knowledge) are fundamentally different from limitations of logic. God is still omnipotent even if he cannot make a rock he cannot lift. God's role in salvation is essentially all of it. The fact that man has a role at all (accepting or refusing God's offer) is solely due to God's inability to do the logically impossible. Man's role is based on logical possibilities and God's role on power possibilities and these are categorically distinct. Calling Arminianism synergistic reflects a lack of understanding about these categories. The exercise of liberty requires virtue if it is not to turn into a nightmare. Theodore Dalrymple, "Choosing to Fail." Australia's Q&A broadcast a discussion between Richard Dawkins and George Pell, Catholic Archbishop of Sydney a couple of weeks ago. I have read thru the transcript though I did not see the broadcast. Dawkin's made a several claims that were incorrect. I wish to address a couple of them. A minor one was in response to Pell's comment that Darwin called himself a theist. DAWKINS: That just not true. DAWKINS: It’s just plain not true. PELL: It’s on page 92 of his autobiography. Go and have a look. When thus reflecting, I feel compelled to look to a First Cause having an intelligent mind in some degree analogous to that of man; and I deserve to be called a Theist. This conclusion was strong in my mind about the time, as far as I can remember, when I wrote the Origin of Species, and it is since that time that it has very gradually, with many fluctuations, become weaker. But then arises the doubt—can the mind of man, which has, as I fully believe, been developed from a mind as low as that possessed by the lowest animals, be trusted when it draws such grand conclusions? I cannot pretend to throw the least light on such abstruse problems. The mystery of the beginning of all things is insoluble by us, and I for one must be content to remain an Agnostic. An admission to theism at the writing of Origin that had subsequently become agnosticism. So while various arguments suggested theism to Darwin at some times in his life, this gradually gave way to unbelief. Pell is correct in his statement about Darwin convictions at the time he wrote his theory, though not later in life. This development is not clear from Pell's comment. However Dawkins refusal to acknowledge this is unwarranted, especially as he seems ignorant of these comments of Darwin. However what is particularly astounding in this discussion is an earlier comment by Dawkins on slavery. DAWKINS: When you say that Christianity has been responsible for a lot of good, including science by the way, which is somewhat ironic, I think that most of the great benefits in humanity, such as the abolition of slavery, such as the emancipation of women, which the Cardinal both—mentioned both of, these have been rung out of our Christian history without much support from Christianity. I, as an atheist, my friends as atheists, lead thoroughly worthwhile lives, in our opinion, because we stand up, look the world in the face, face up to the fact that we are not going to last forever, we have to make the most of the short time that we have on this planet, we have to make this planet as good as we possibly can and try to leave it a better place than we found it. Leaving aside the massive improvement in the conditions for women within Christendom compared to pagan society, where does Dawkins get his ideas about abolition? without much support from Christianity. Christians were at the forefront of abolition, especially in Britain. John Newton eventually quit then repudiated his previous occupation because of his faith. William Wilberforce brought bills before parliament for years to put a ban on the slave trade. Slavery is a complicated issue, but as far as abolition of the trading of slaves and the end of slavery as an institution, Christians were very much at the forefront. I have not discussed Pell's comments here. In general I thought he did a poor job and I disagree with him significantly on several issues. 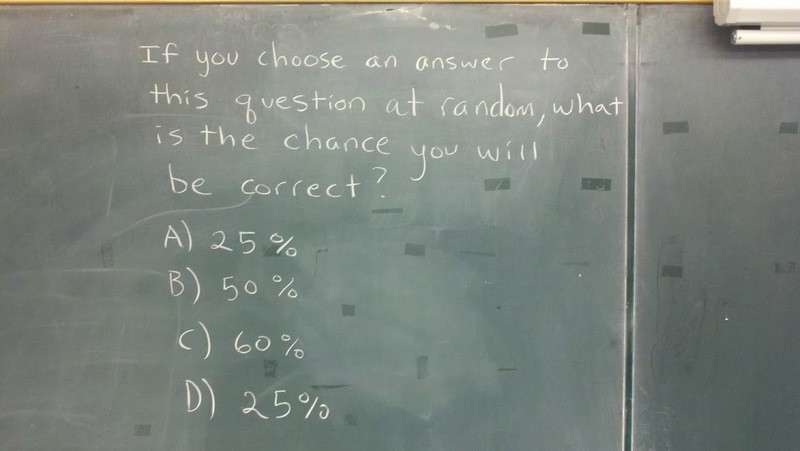 It would take some time to address all of them. It’s as though all human encounter were one big sore spot, inflamed with opportunities to unwittingly give, and truculently receive, offence. Robert Hughes, Culture of Complaint. I marvel that whereas the ambitious dreams of myself, Caesar, and Alexander should have vanished into thin air, a Judean peasant named Jesus should be able to stretch his hand across the centuries and control the destinies of men and nations. In his article "What Language Did Jesus Speak? Why Does It Matter?" Mark D. Roberts argues that the main language spoken by Jews in the first century was Aramaic which he suggests is also Jesus' primary language. He also argues that Jesus was at least bilingual also speaking Hebrew, and probably trilingual also speaking Greek. Most of what he writes seems reasonable, though I have some sympathy for the idea that the Jews spoke Hebrew. One place I may differ with Roberts is what we the Dead Sea Scrolls imply. He states Hebrew is more common in these Scrolls. During and before the time of Jesus, there wasn’t just one version of Aramaic being used in Judea and beyond. Some Aramaic was official and formal. This is preserved, as you would expect, in official documents and inscriptions. Some was informal and common. This was spoken and has mostly been lost to modern scholars. The fact that Aramaic was used by Jews in Judea is supported by its use in some of the Dead Sea Scrolls (which are mostly in Hebrew, however), and in some ancient documents and inscriptions. Even many grave inscriptions around Jerusalem are in Aramaic, not Hebrew. It’s most likely that in Galilee, where Jesus was raised and where he began his ministry, Aramaic was the most common language of the people, though many would have been able to understand Hebrew and to get along in Greek as well. 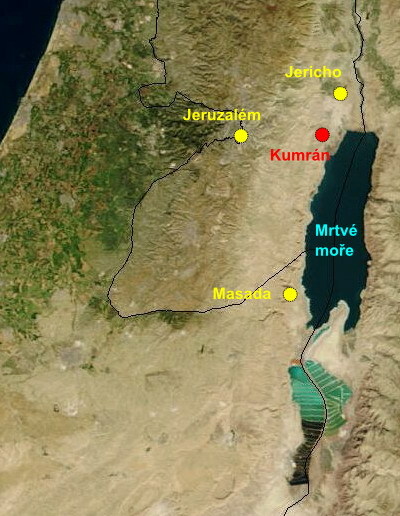 By the time of Jesus, Aramaic was the most common language in Judea, though Hebrew may have been dominant in certain areas, such as Jerusalem or the Qumran community by the Dead Sea. Greek usage was also widespread in those regions during the first century A.D. The Dead Sea Scrolls were hidden in Qumran, but if many of them originated from elsewhere in Judea such as Jerusalem then perhaps Hebrew was more widespread than Roberts concludes? How is it a man can make love to his wife thousands of times over the course of forty years and not be at risk for any sexually transmitted diseases, while another man can have three one-night stands and find himself crawling with sexually transmitted pests? And tell us again which behavior is more natural?